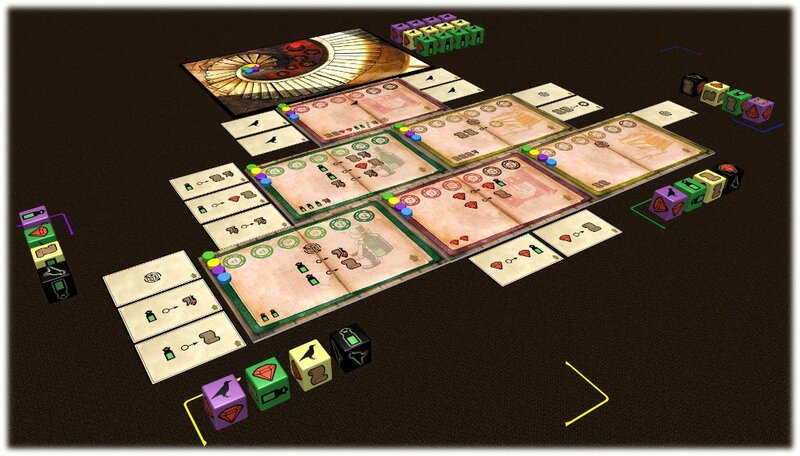 VivaJava: The Coffee Game: The Dice Game, or, more simply, VivaJava Dice, is the successor to the well-received 2012 release of VivaJava: The Coffee Game. Just as in its predecessor, players of VivaJava Dice take on the roles of employees at the VivaJava CoffeeCo., scouring the globe for the best beans to keep the company on top while keeping themselves one step ahead of the rest of the executives. Playing time: 20 − 40 min. You're now part of the School of High Alchemy, but you still have a long path ahead of you, a path that can lead to wisdom, yet a path which is laden with pitfalls and threats that will test you in ways that you can't even imagine. Work hard. Learn to control the elements. Study each recipe and combination, no matter how impossible they may seem. Face your worst fears. And trust fortune as well because it's wise to admit that not everything is in your hands. That's the only true way to become an alchemist. 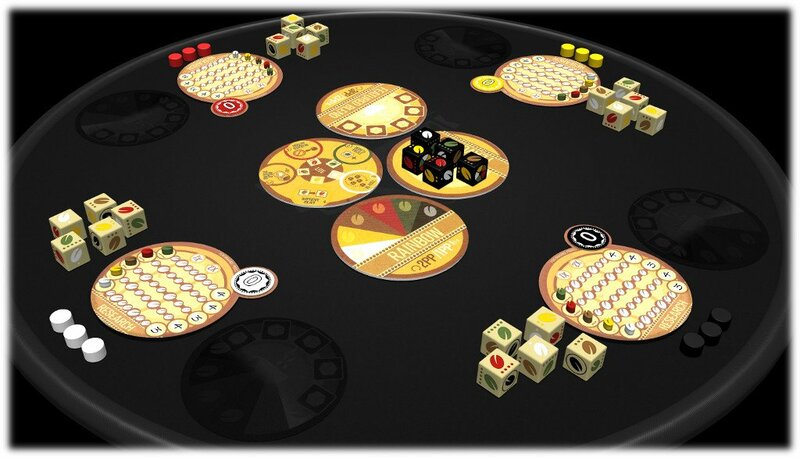 The game is all about gaining resources, using the abilities to transform them into other resources (or multiply them), and rising in the different boards to gain as much knowledge as possible. Playing time: 30 − 45 min. 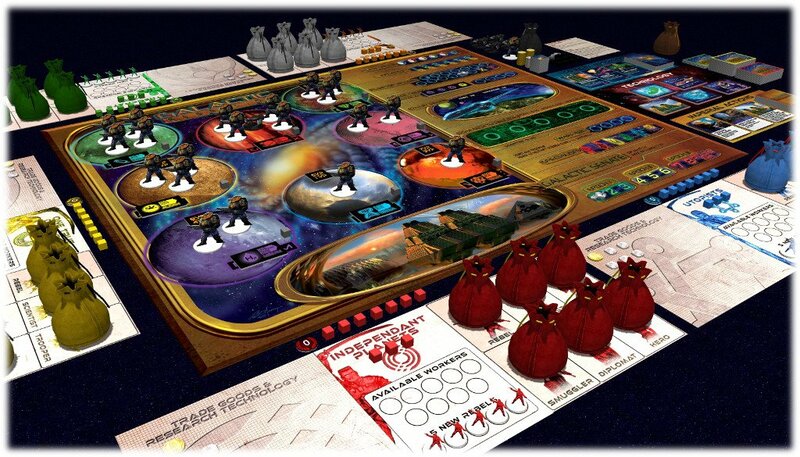 You might be also interested to check the Kickstarter campaign running at the moment by Gryphon and Eagle Games. Playing time: 90 − 180 min. 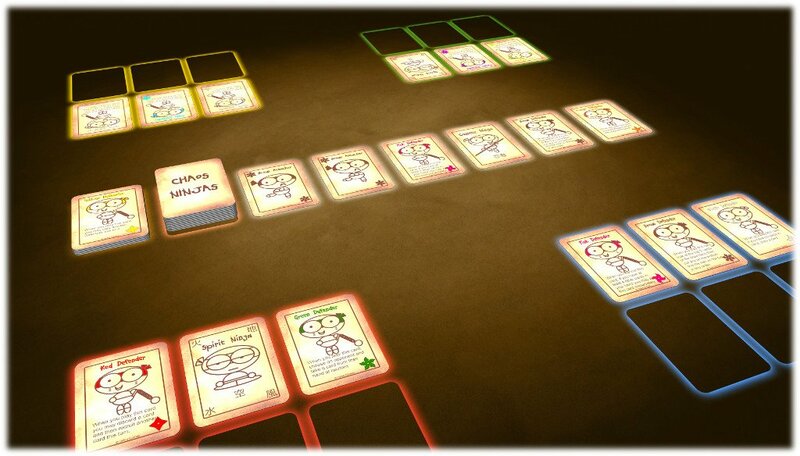 Chaos Ninjas is a light card game created by Shane Gelven. This game combines both strategy and take-that elements. You are trying to be the first player to have six unique Defender Ninjas in front of your play area. On your turn you only perform one action, either take a card or play a card.